Dotted across the countryside around us, and throughout Ireland, are the loneliest places on earth. 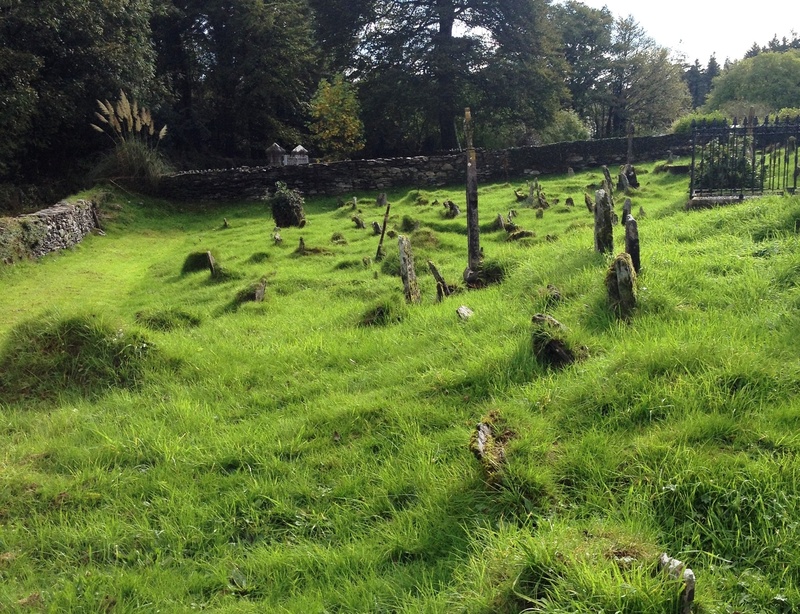 These are the cillíní – the children’s graveyards. 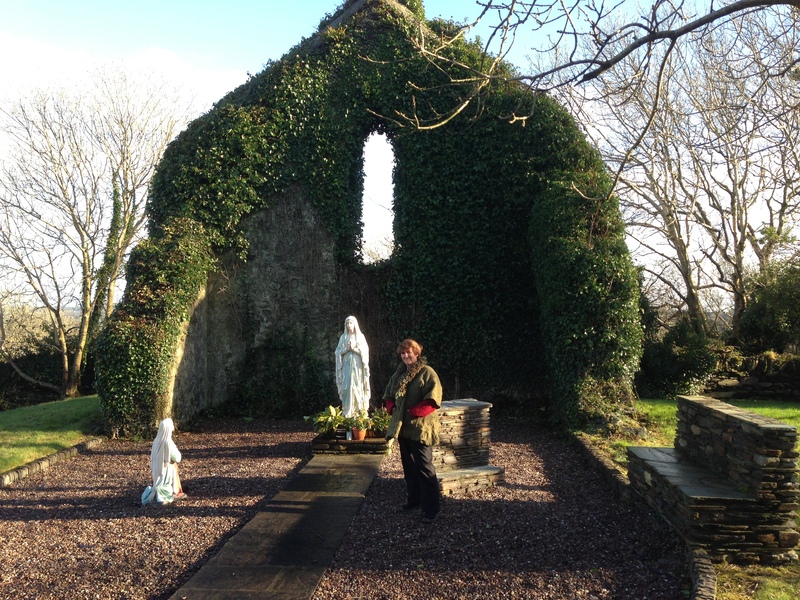 A cill (kill) is a monk’s cell or church site, cillín (killeen) is the diminutive and cillíní (killeenee) is the plural: small churches. 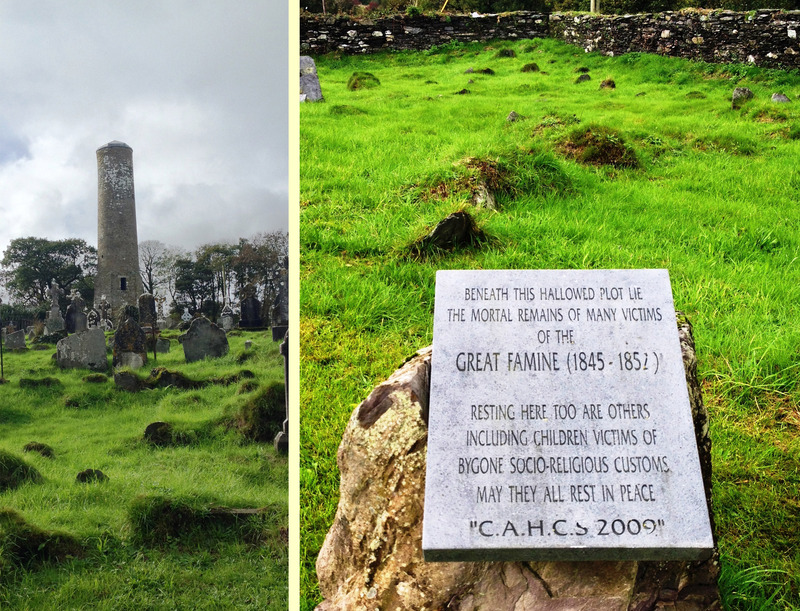 Ironically, the cillíní despite their names were usually non-church sites. They were burial grounds reserved for unbaptised children (those who died before they could be baptised or were perhaps born out of wedlock), pregnant women (because they were carrying unbaptised children), unrepentant murderers, suicides, shipwreck victims and strangers – anyone, in short, who was not ‘saved’ or whose baptismal status was ambiguous or unknown. They were used into the twentieth century. 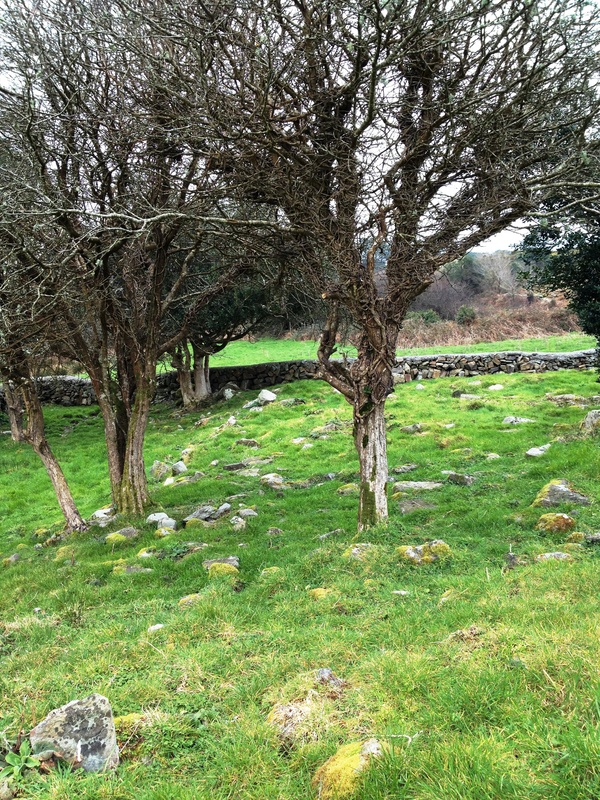 Some cillíní were also used for mass burials during the time of the famine. This week we attended a fascinating talk on cillíní by William Casey, a local historian. As he explained it, the teachings of the Catholic Church on where unbaptised babies go after death had evolved from a position of ‘they go to hell’ (Augustine, 4th century) to a more moderate invention of the concept of Limbo (Thomas Aquinas, 13th century) – an in-between place where these lost souls would dwell eternally, never to suffer but never to reach heaven. Maybe the saddest thing we learned from William’s talk was that tiny children who had died before baptism were buried at night, by lantern light, by the father and male relatives. Women had no role to play and the mother was not present. 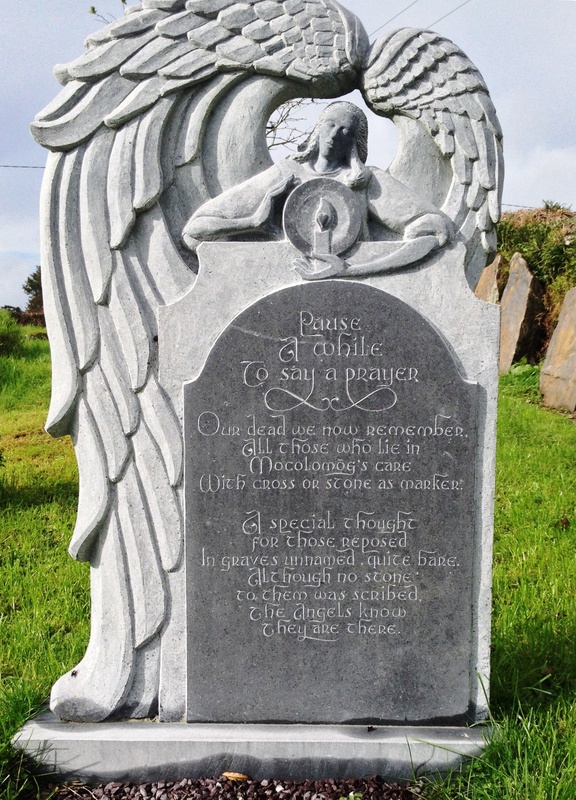 The grave was placed east-west, alongside other babies who had been buried in the same way and marked, if at all, with a small uninscribed stone. Over time many cillíní melted into the surrounding landscape and are now impossible to find. Others have been restored so that these lost souls will not be forgotten. Here, simple monuments invite us to remember. They attempt to reinstate the dignity and hope that were once robbed by the rigid beliefs of another age. This entry was posted in Archaeology, Irish History, Religion, Roaringwater Bay and tagged cillin, cillini, Famine, Traditions, unbaptised children. Bookmark the permalink. Very interesting. Time does change and, hopefully, we have become more understanding and compassionate. Thanks, Finola, for sharing. Glad you enjoyed this post, Betty! Strange to reflect on this topic. Its strange too, that people think one piece of ground superior to another. Strange that people who do the ‘consecrating’ have a bunch of convinced followers still. Even stranger that people vie for the piece of land upon which ‘holy water’ has been sprinkled, other than a sprinkling of rain. Strange also that the place people fall is not seen as a place as special as any other. Thank you for this article Finola, very stimulating. Yes, as Alice would have said, curiouser and curiouser..
Wasn’t it an interesting talk? Well delivered, clear and informative. But how outrageous, and how sad. St Augustine has a lot to answer for in my book.